Photo Credit – Anita Hovey @Twirp Communications. Who brilliantly snapped a few pictures while we enjoyed our salads! The guest speaker, Shari Graydon, presented a compelling talk titled “Amplify Your Voice, Increase Your Influence.” She spoke of women’s voices in the media…or rather, our lack of representation. From Shari’s research, when women are asked by a journalist to make a statement or comment to the media, our first response is to say “I’m probably not the best person.” We hold back and decline to comment…even if we have something important to add. While women make up 51% of the province’s population and 60% of the graduates…our voices aren’t being heard. We’re choosing not to use them. It’s ironic that I went to this luncheon about an hour after I pressed the “publish” button on Drawbridge Creative’s June Newsletter…which included my opinion on an industry topic. As a blogger, I don’t have any issue whatsoever expressing my opinion. I do it often…I’ve followers who listen to me and folks who choose to never read a thing I have to say. I’ve received hate mail for my opinions…and mail where women thank me for what I’ve had to say. BUT, I never really worry too often about what I put out there…I express my personal feelings on a great many topics but I’m not really held accountable to anyone but myself. I don’t expect everyone to like me…it’s a blog where I simply tell my stories and express my thoughts…where I ramble on about personal things. Some choose to read it, other’s don’t. However, on the morning of the luncheon, I nervously hit “send” on my Graphic Design newsletter and held my breath. Suddenly, I was stating my opinion on an industry topic…something many people have strong opinions about…the new Halifax logo. As a designer, I explained my reasons why I like the logo…it’s just my opinion but it unnerved me to put it in print. I’m trying to build a business here…trying to create a reputation for myself in a pretty tough industry…and putting my voice forward scares me a little. Other’s can judge me…and my business…while I’m trying to get more clients and increase my revenue. What if it affects me negatively? What if I make a fool of myself? Despite my apprehensions and after I’d checked a million times to make sure I didn’t have a typo…I hit the “send” button…and waited. Within moments, two people re-tweeted my story and I breathed a sigh of relief…but now that I think about it, why did I need my opinion validated to make me feel ok? While I’ll “blog” to my heart’s content…why is it harder to state my opinion where my “business” is concerned? Frankly, I don’t know the answers. If I want to make any kind of difference…if I want to make it as an entrepreneur where my voice matters, where I stand behind what I know and believe, then I have to put myself out there and state my opinions despite my fears of getting shot down or being wrong. I have an informed opinion. I’m proud of my education, my knowledge and the work I do. My voice matters. Shari’s talk opened my eyes about how I represent myself. While I’m putting my voice out there, it’s time I held my head a little higher when I do. After all…what if the next time someone asks me for my opinion, I really am…the best person to respond? Shari’s organization, Informed Opinions, trains and supports women in making their ideas more accessible and increasing their impact…getting their voices out there. 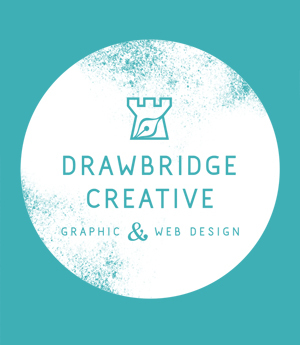 Subscribe to Drawbridge Creative’s monthly newsletter by clicking here. ‘Cause every now and then…I’ve got something to say! I heard Shari at Campaign School for Women this weekend. She was incredibly inspiring! And I think I found her a little more so because of my role as a blogger. I often hold my opinion back, but I know I need to start speaking and sharing my opinion more often. I agree Laura! I thought she was great and she gave me a whole lot to think about!